Golden visa is a very straightforward and flexible program. In the Golden Visa program, a temporary visa permit is granted to non-EU citizens who invest in Portugal for a minimum of 5 years. Any third-country nationals can apply if they meet the entry requirements. This is one of the major Golden Visa Benefits. In Portugal, the Golden Residence Permit / Visa holders do not require a visa to enter the EU Schengen area anymore. With the Golden Visa, investors are entitled to enter and travel freely throughout all the Schengen area countries, for a maximum period of 90 days. One of the greatest privileges Visa Golden holders are given is the flexibility to live outside of Portugal even after the temporary residence permit is granted. 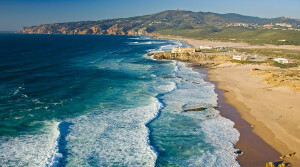 You may enjoy the Portuguese lifestyle and sunny weather with no obligation of residing in the country. An investor can have Portuguese temporary residence by spending a minimum of 7 days, consecutive or otherwise, in Portugal during the first-year period and 14 days, consecutive or otherwise, in the following two-year periods. Investors are entitled to Portuguese citizenship after 6 years of official residence in Portugal and may request a Portuguese passport. After these 6 years you are eligible to become a European passport holder and will have fallen in love with the beauty and magic of the best European country, Portugal. A temporary residence permit is granted immediately. This permit is a another one of the great Golden Visa Benefits that allows investors the possibility to work and live in Portugal for a maximum period of 5 years. After the initial period of 5 years, the holders of Golden Residence Permit acquire the right to a permanent residence permit, under the provisions of Portuguese general law. Last but not least of all the Golden Visa Benefits is that Investors can also apply for a family reunion visa. This fantastic permit enables your family to live with you in Portugal, as well as work, study, expand their businesses and freely travel in the Schengen area.